This is a 3 wire slip ring, a remarkably simple electromechanical assembly that allows for electronic signals and power to be passed through its rotating innards. 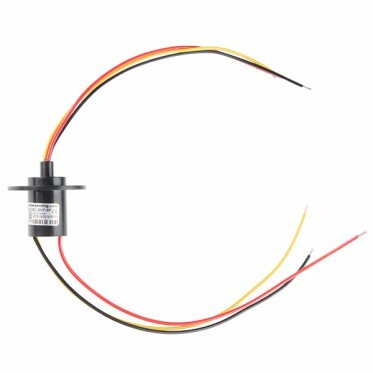 Commonly, yoursquo;d find slip rings in wind turbines, radar antennae, or anything else that requires continuous 360Â° rotation while maintaining an electrical connection. This particular slip ring provides you with a compact body with precious metal alloy fiber brush to silver plated ring contacts inside. We like using these slip rings to specifically transfer power in our spinning projects because regardless of the wires position in its rotation the power remains consistent! 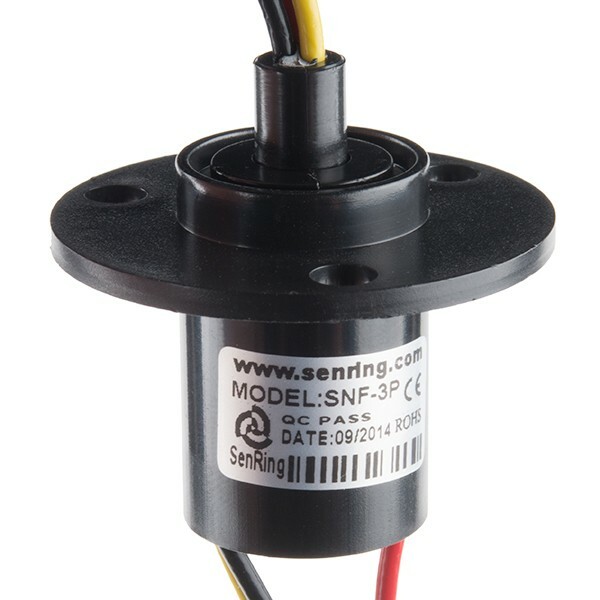 Each slip ring is capable of handling a continuous working speed of 250RPM, a current rating of (a whopping) 15A, and an operating voltage of 380VDC/AC. We arenrsquo;t kidding about how compact this little guy is, with only and outer diameter of 22mm for the body an 44mm diameter flange, you should have no issues fitting these into your next project. 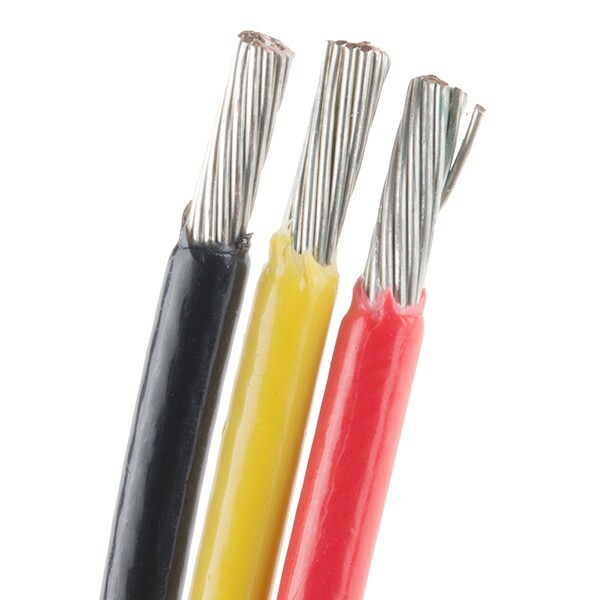 Additionally, the 250mm stranded wires protruding from each side of the slip ring have a thickness of 16AWG while the whole assembly has a water protection rating of IP51.